ChatBots – You must have heard about them, and maybe even talked with one already. Very in vogue since the last year, Chatbots are used by more and more companies everyday. It is an interactive program that talks to you and answers requests just like a real person. It uses Machine Learning through Artificial Intelligence to pick up on conversational cadences, allowing it to mimic human conversations and react to spoken or written prompts to deliver a service. Further details here. 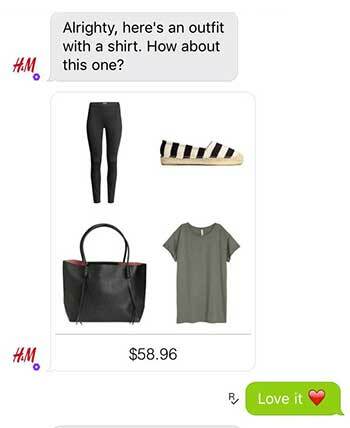 Here’s 5 brands that are using ChatBots, and it’s working great for them! 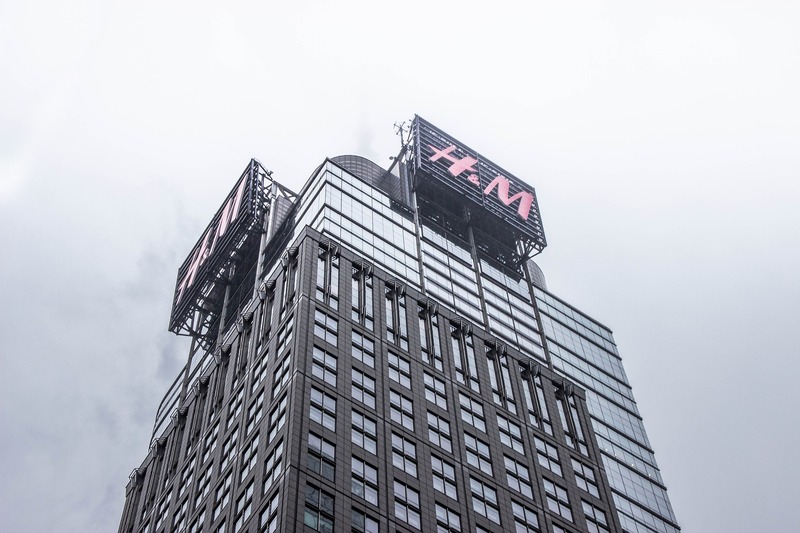 By launching a ChatBot on Kik at April 2016, H&M joined the private cercle of many brands already present at the ChatBot universe. It’s like the user had a personal stylist at his fingertips. 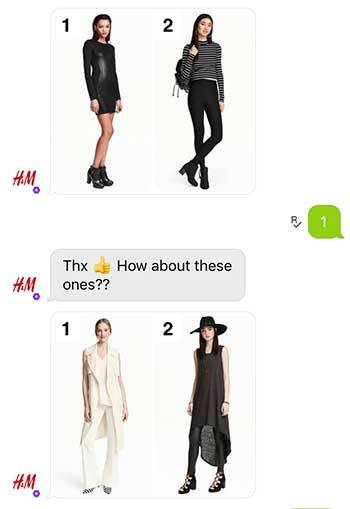 By chatting with the H&M bot on Kik, he can ask for an outfit inspiration, a new style of clothes to try etc. When the conversation start, the ChatBot will ask the user few questions like which style do you prefer? It will present him some photos and ask him to pick up style number 1 or 2. It’s an original and fun way to know more about the user’s tastes and then propose to him some clothes that accordingly match his style. 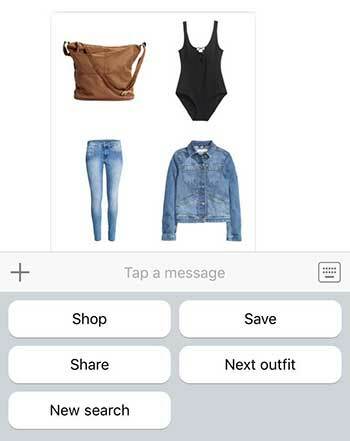 When the user finds what he likes, he simply tap the image for 2 seconds and then shop, save or share the outfit. 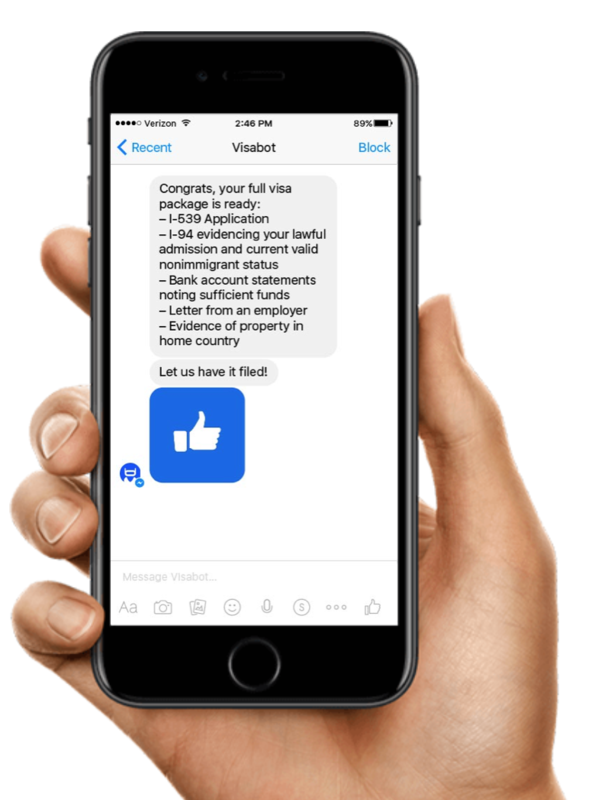 Only available on Facebook Messenger, Visabot is an immigration attorney ChatBot created in November 2016 and inspired by top U.S immigration lawyers that helps you better understand American immigration laws and apply for the right visa based on your personal needs. 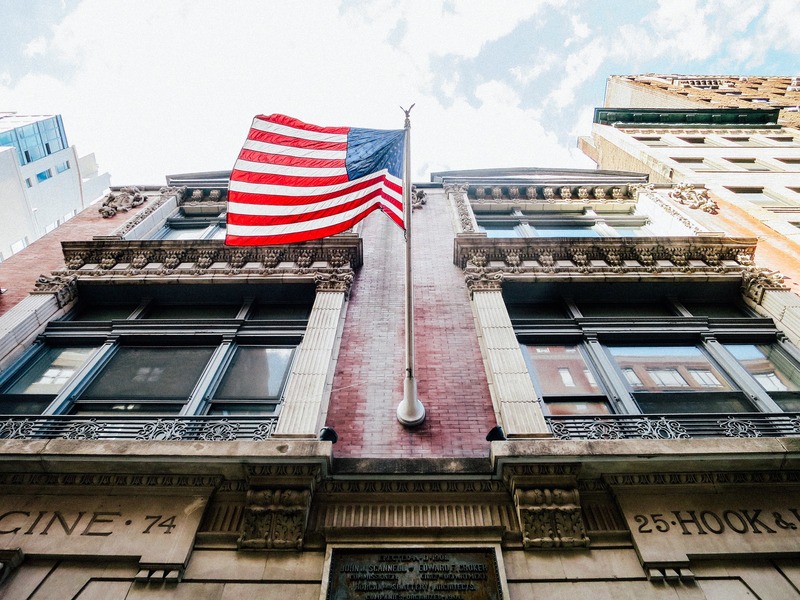 Visabot help you having a smoother visa process, save your time and ensures already filled out visa forms. 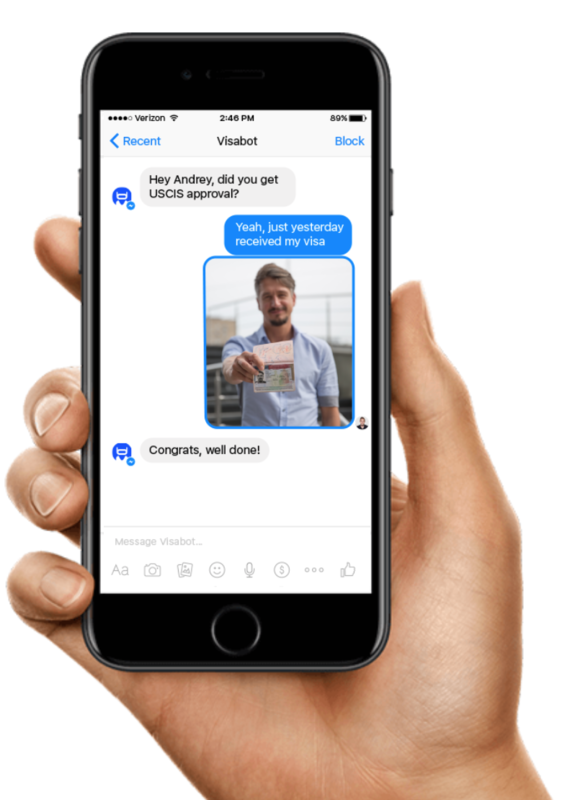 Visabot has now more than 30,000 users and generated over 1 million messages. 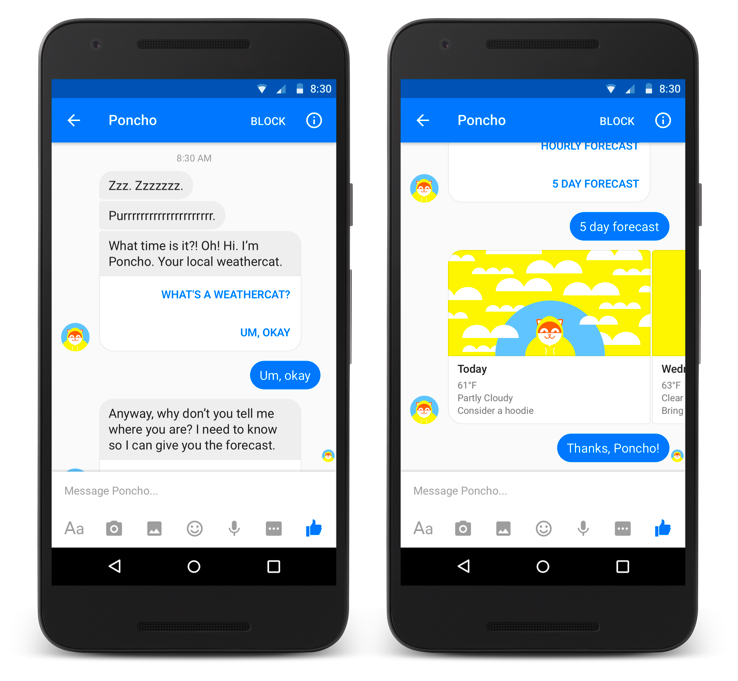 Also created in 2016, Poncho is the most famous weather ChatBot. 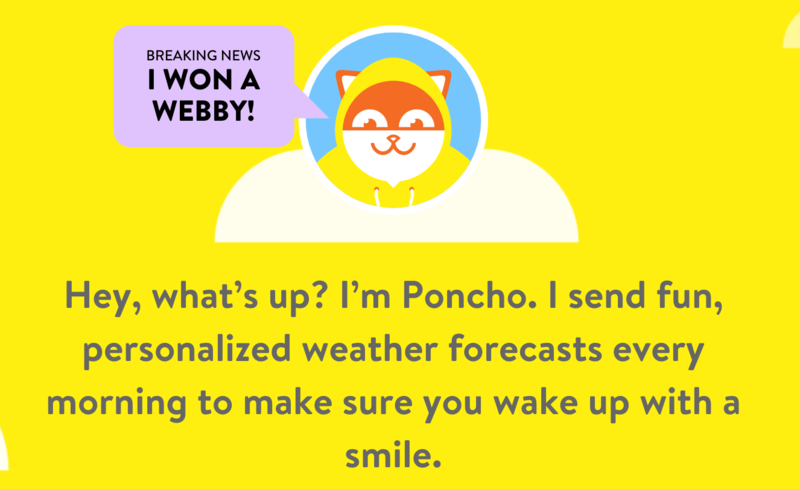 Through Kik, Facebook Messenger and Viber it sends you funny, personalized weather forecasts every morning. 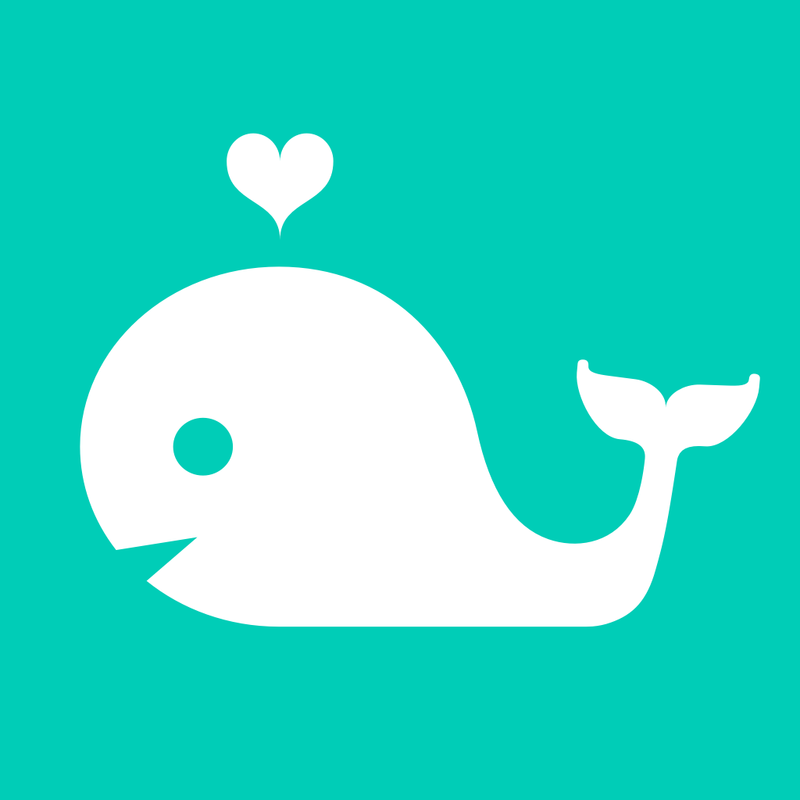 Besides weather, it also talks about food, movies, send you Gif’s, games, party challenges and more functionalities. 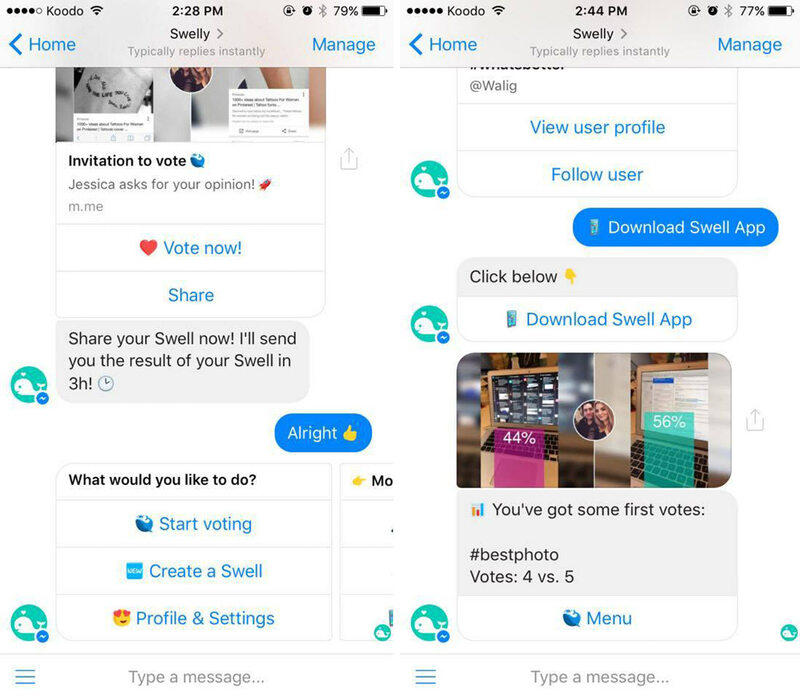 Born in July 2016, Swelly bot is a smart and innovative concept, it is today one of the most popular bots in the market, having 1,500,000 users and still growing. It helps people with their daily decisions by sending their questions directly to the other users. A swell contains a question and 2 options. A or B? This or That? High Heels or Sneakers? Hot or Not? It is Available on iOS, Telegram, Kik and Facebook Messenger. 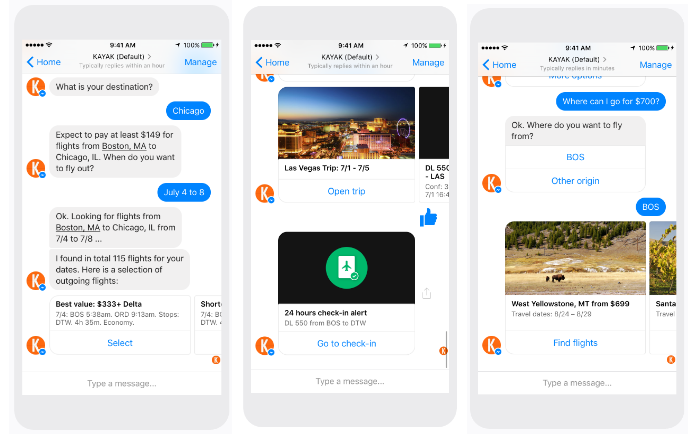 Kayak Bot will search hundreds of travel sites at once to find you the information you need on flights, hotels, rental cars and things to do. It also keeps you up-to-date on your travel plans and help you manage your trip. 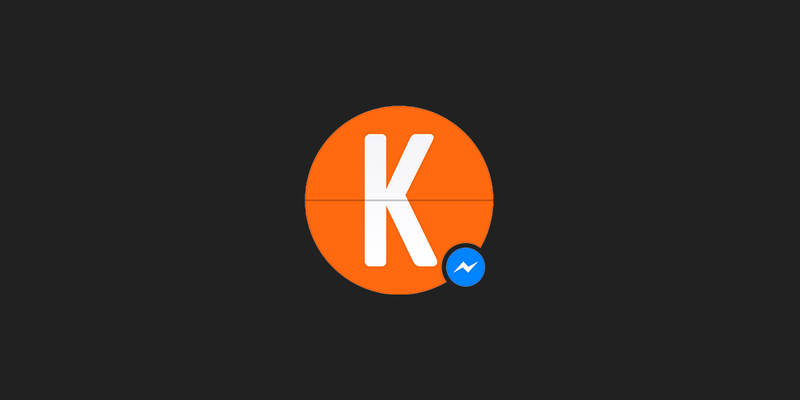 Available since March 2016, it is now on Slack, Facebook Messenger, Amazon Echo and iMessage.